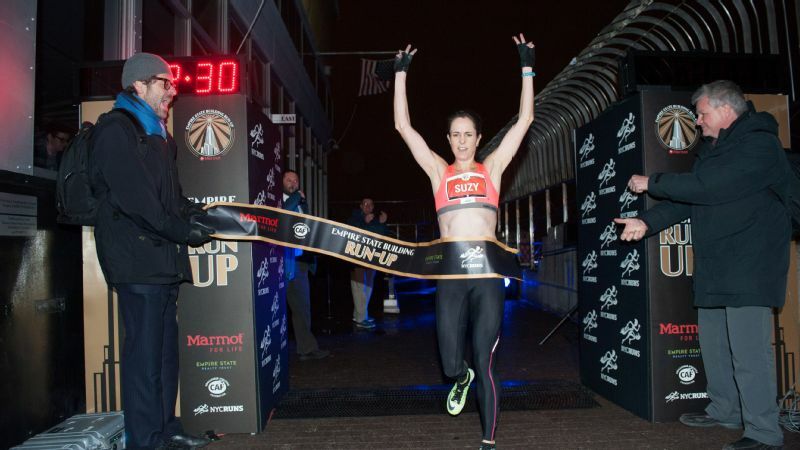 Suzy Walsham has won six titles at the Empire State Building Run-Up, and will try for a record-breaking seventh title on Wednesday. Suzy Walsham is in an Empire State of mind. Walsham, an Australian pro vertical climber, is gunning for a record-breaking seventh title in the Empire State Building Run-Up taking place Wednesday evening. 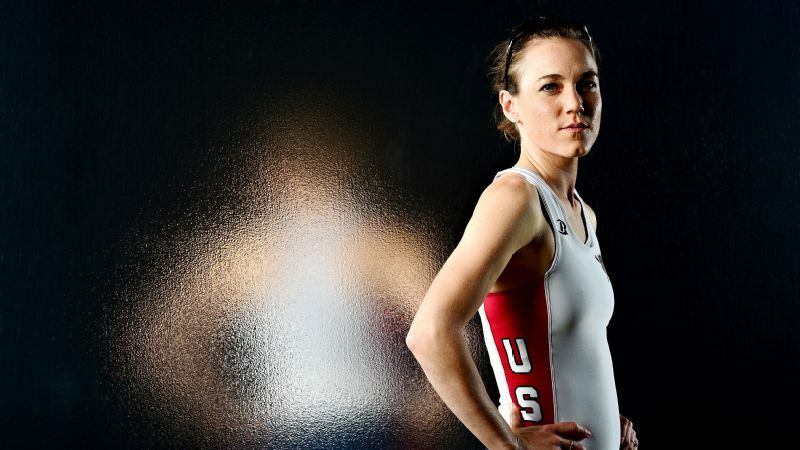 The defending champ will race up the world's most famous building -- 86 floors, 1,576 steps and 1,050 feet of it -- passing most, and ideally all, of her 200-plus competitors along the way. 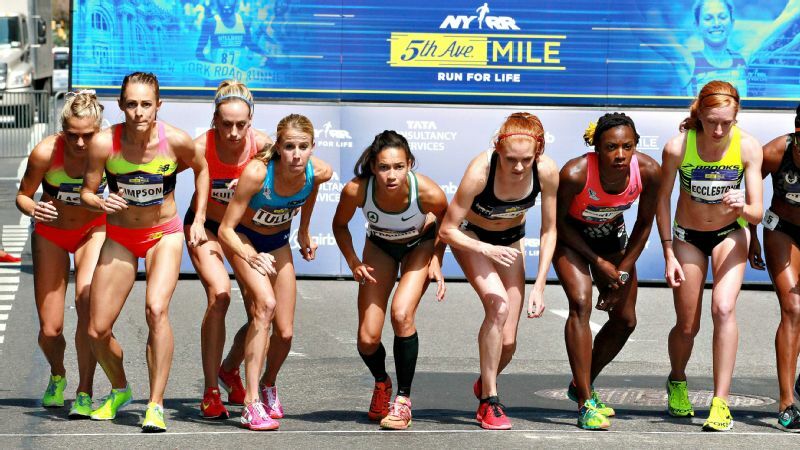 The Singapore resident and mom took time from her prerace routine -- which included a full day of working her job as an accountant, remotely from her hotel -- to share some of her top racing tips. Two at a time is faster. It depends on your fitness level, but the fastest way is actually to walk up two stairs at a time -- that's faster than running one at a time. I've timed myself. With the Empire State Building, though, the height of the stairs is quite high, so going two-at-a-time is harder than in other buildings. So maybe break it up if you're not used to it; do a few floors two-at-a-time and a few one-at-a-time. That helps break up the journey on the way up -- otherwise it can feel like it goes on forever. Suzy Walsham (#110) likes to train in skyscrapers, and says living in Singapore has it's advantages. Case in point: She lives in a 30-story building. Using the handrail isn't cheating. I use the handrail. Some people use it more than others. I wear weight training gloves, because I'm yanking the rail and I could get blisters. And for people going later in the day, the handrail can actually get quite disgusting, so gloves can help with grip otherwise it can be a bit slippery. The key is to get in some sort of rhythm. Start out slower than you think [you'll need to]. You could start out feeling great for five floors and then it turns into a nightmare. 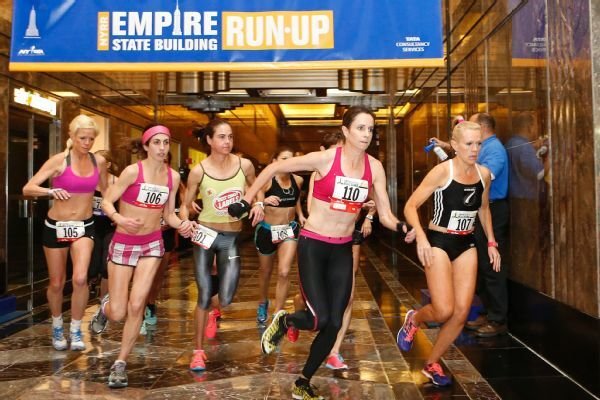 I compare Empire State to running a 5K -- you're not going to start out sprinting. You definitely need to pace yourself evenly. I start out quite slowly and there are lots of people around me. But then once I'm at the 10th floor, or anywhere between the 10th and 20th floor, people start dropping off because they've gone out too fast. It's about maintaining your lactic levels. You've got to try to stay under that lactic threshold. I'm in my early 40s and am the mother of a five-year-old. But I don't even think about it. 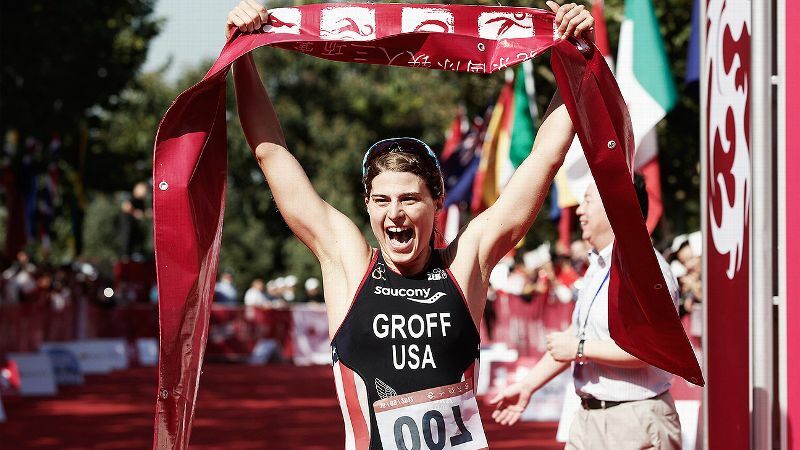 In the elite women category, there are a lot of women in their 40s. I don't know if it's because a lot of younger women don't know about it, or they're just not interested, or if it's because strength, experience and endurance get better as you get older. For me, my running times [have gotten] slower as I've gotten older, but my climbing times have gotten faster. It's not a marathon, so don't carbo-load. I try not to have any big meals the night before the race, or even the day of. I'll have a PowerBar that morning of the race and a shot of espresso 30-60 minutes before the race. Hydration-wise, it's a hot building so you need to be hydrated enough, but don't want to be carrying too much heavy weight up the stairs. It can get pretty dry in the stairwell, and there are water stations going up. But it's not like a three-hour marathon. This is 12 minutes. 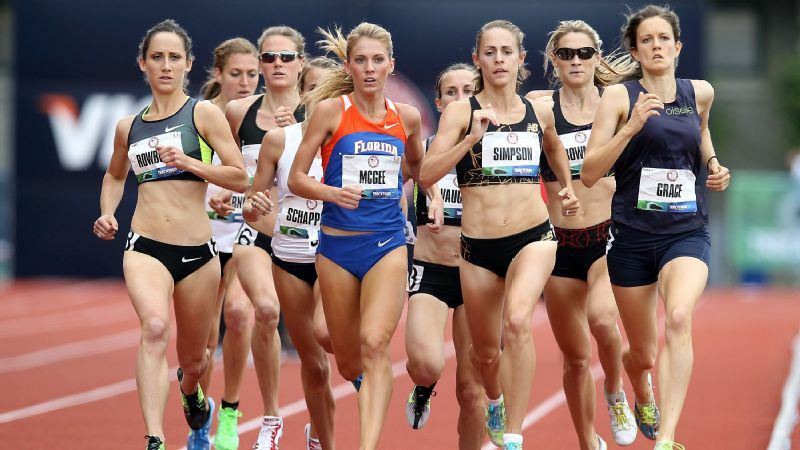 Suzy Walsham won three Australian national titles in the 1500-meters and one in the 800-meters as an elite runner. Just stay safe at the start -- don't try to be a hero. People are vying for the first position through the door, so there can be a little bit of pushing and shoving. I crashed into the wall [in this race] in 2009, bruised up my face and knee, and fell to the ground. It was a pack start of 60, 70 people, and I was just being trampled. But somebody picked me up and I just kept running. It must have been adrenaline because afterward, my knee was so swollen and hurt so much that I couldn't even step up onto the sidewalk outside my hotel. So I'm very nervous about the start. I much prefer individual time trial. In a lot of stair races around world, you go individually. Real stairs trump a machine for training. If you've just done stairs at a gym, that's helpful, but getting into a building to train is better. It's a fantastic physical activity: it doesn't take a lot of time, you don't need to worry about the weather, and you can get cardio and strength benefits in 20-30 minutes. Security-wise, it can be hard to get access [to buildings], but I live in Singapore and live in a 30-story building. My office just moved from a 13-story building to a 44-story building and my first thought was, "This is fantastic! I have to see if I can get access to the stairwell." You know you're in trouble when that's your first thought when you hear your office is moving. Leslie Goldman is a die-hard workout junkie who covers health and fitness for many popular women's magazines and is the author of "Locker Room Diaries: The Naked Truth About Women, Body Image and Re-imagining the 'Perfect' Body." Full disclosure: Her high school athletic experience was limited to sophomore year Color Guard.